I went to go see the new Beauty and the Beast film with my mother on opening day this past week. Let me just say, my expectations were not set very high. I, in general, am not a fan of remakes. I think that when a movie is a classic, more can be done to harm it than can be done to improve it through another adaptation. This film, however, is making me change my tune about that. I love Emma Watson. I love Belle. I did think that she would be a good, refreshing, version of her. However, when I heard the soundtrack, I was a little apprehensive. I do not think Watson is a bad singer by any means, but my mind’s ear kept moving back to Paige O’Hara’s gorgeous, broadway-suited voice. The inevitable comparison worried me. Then came the news of LeFou being gay. I would identify myself as bisexual (I am on a spectrum and therefore do not completely identify with that, but that’s a personal story for another day), and am so happy that LGBT characters will hopefully no longer be restricted to subtext after this, but the fact that LeFou literally translates to “the crazy” and LeFou is a bumbling sidekick in the animated film greatly worried me. I immediately hoped and prayed that his homosexuality would be completely unrelated to his downfalls– Although I have faith in Disney, I still was hesitant. Finally, it is a simple fact that Beauty and the Beast (1992) is an absolute masterpiece. Though not without its downfalls and small plotholes, the tale is a Disney classic and a staple for dreamers everywhere. The score and visuals are absolutely stunning, a reflection of the extraordinary talent and little bits of themselves that all involved injected into it. I grew up with this movie. I remember running out of the room when the wolves came onscreen at only 4 years old, I remember meeting Belle at Disneyland while wearing a matching ballgown at 7. I remember dreaming of far off places, daring swordfights, magic spells, and hoping that when my own prince arrived, he would perhaps not be in disguise. This film means a lot to me, as I know it does to millions of others. So when the live action version was announced, after I had less than loved Maleficent, I was troubled. I do not think I have ever been so happy to be wrong about a movie. This film captured my heart in just the same way as the 1992 version. From the opening sequence, I was absolutely hooked. The visuals gave me permanent goosebumps and the music made me want to jump out of my seat and be in the musical number with the rest of the cast. Alan Menken’s moving score remains, filling me with nostalgia and evoking feelings of wonder, despair, and hope. With every sequence, line, and scene better than the last, I fell deeper and deeper in love with these characters through their new live action vessels and was filled with a greater need to be a part of the tale as old as time. The backstory on the Beast and Belle’s family was a phenomenal addition. The meld of Broadway and animated versions was almost too much for my musical, fantasy-loving heart to bear. I am not exaggerating when I say that this film made me want to live in it. My only complaint, and I mean only, was extremely minor. It lies in the ballroom scene. The visuals, while amazing and absolute eye candy, did not focus entirely on the couple in question. While the ballroom was amazing to see, I do wish that there was a little more heart in the scene, which could have been achieved through more focus on Belle and the Beast. My other complaint about this scene is Belle’s dress– I have been told that it is a more pale, pastel yellow in person, but on screen, it was a vibrant tone that made me cringe a little. It is a gorgeous gown, I just wish the lighting had better reflected that. In short, I highly recommend this film to anyone who even kind of enjoyed the 1992 or Broadway versions. It made me laugh, cry and filled me with joy, and I hope that all live-action adaptations from here on out will be as well-executed as this one was. Hello, and welcome to this blog! My name is Kiersten, but some of you may be coming from my Instagram, where I go by missphotopass. Here’s a little bit about me, since it’s pretty hard to introduce oneself on an Instagram page. I’m originally from Canada and moved to Orlando in 2013. We moved for Disney. No, really. Well, also to escape the snow, but mostly for Walt Disney World. We visited so much throughout my life that it became the obvious choice to just live in our favourite place. I have since gone to college out of state, so coming back to Orlando is very special since it involves not only seeing my family and cats, but also my friends and the place I feel the most comfortable. 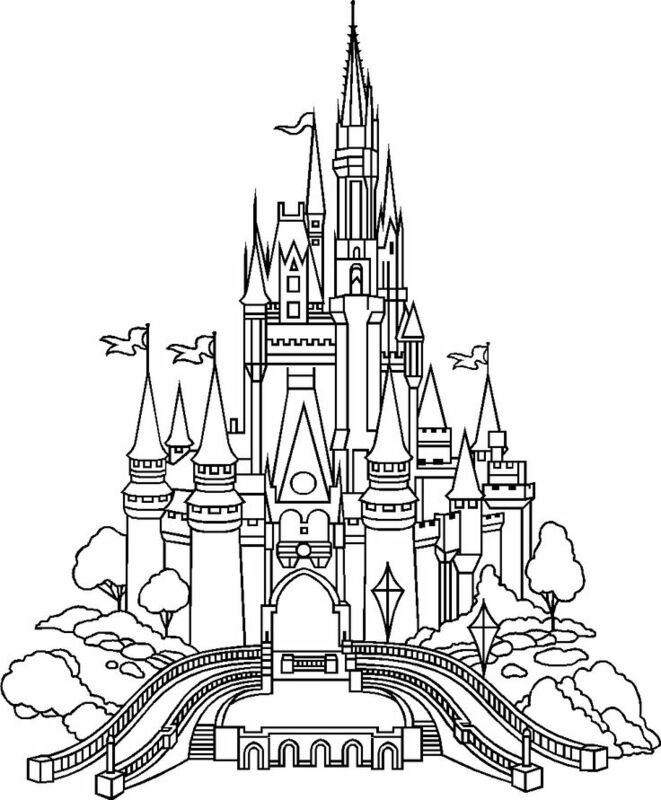 My favourite park is the Magic Kingdom, and that is where I spend most of my time, but I’m incredibly attached to all of them. I love Disneyland Resort but have not ventured beyond the American Disney Parks. It is my dream to go to all before I die. My favourite characters are numerous and include Aurora, Tiana, Jack Skellington, Moana, and Peter Pan. But Chewbacca still gives the best hugs on property, hands down. I am also very attached to Marvel, so I’ll be writing about them some on here as well. I’m very passionate about all things Disney, as well as the inner workings and history of everything. I love photography, and it’s been a passion and hobby of mine for a number of years, long before missphotopass and long before I immigrated. I hope you enjoy reading my thoughts, opinions, experiences and news, and if you ever see me running around the World, always stop me to say hi! I loooove new friends.